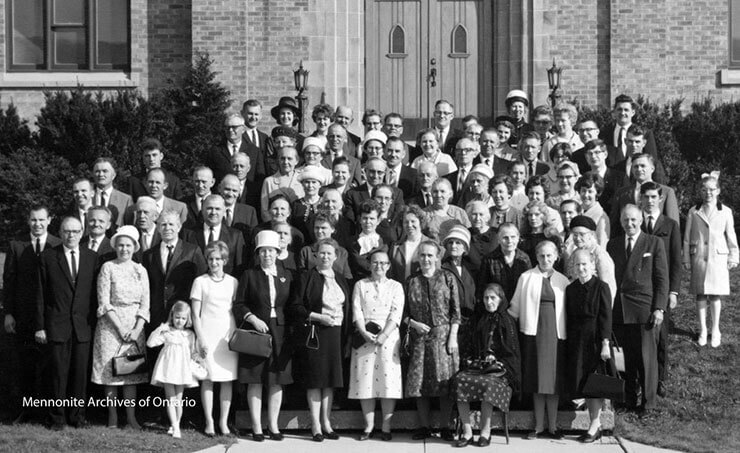 This is no ordinary 1960s family reunion photo. Thousands of Mennonites fleeing the Soviet Union after the Second World War were forcibly repatriated. With the doors closed on mass migration, Mennonite Central Committee focussed on making efforts to reunite families, one at a time. Some of these men, women and children had arrived in Canada soon after the war; others had arrived only recently. These families were adjusting to new lives together after decades of separation. My grandparents are in this photo! Are yours?